Open a document creator such as a word processor or text editor. 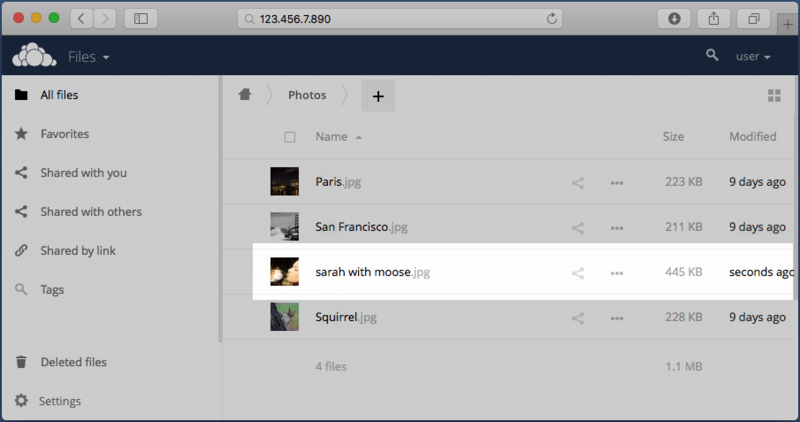 Type some content in the document, and then save it to the local directory that was specified during configuration of the ownCloud desktop client. Wait a moment and then click the “Sync Protocol” tab. 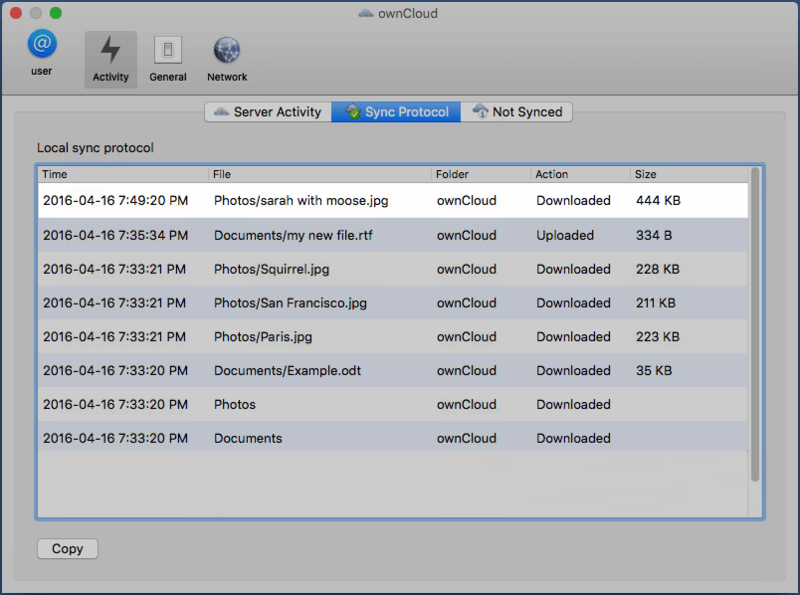 Sync messages for that file and others appear. 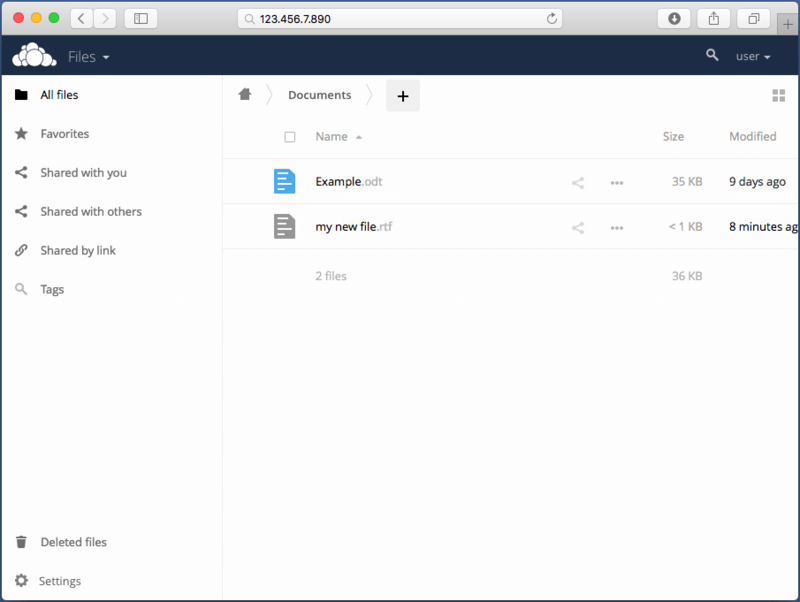 Open a web browser and log into your ownCloud interface. Click the “Documents” folder, and verify that your file was uploaded. 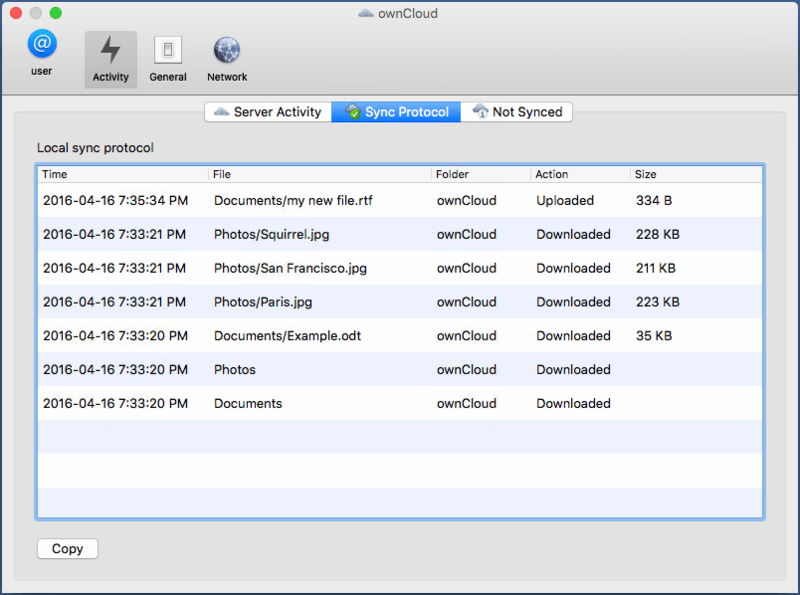 Click the home icon in the breadcrumbs above the list of files. 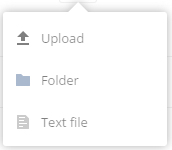 Click the “Photos” folder and the upload icon. In the resulting pop-up menu, click “Upload”. Select an image file and click “Open”. Confirm that the photo uploaded using the browser-based interface. Switch to the desktop client. Confirm that the file you uploaded to the web interface appears in the “Activity” tab. You’ve now validated the installation of the desktop client.